Facebook gets more human in its latest ad for Messenger. 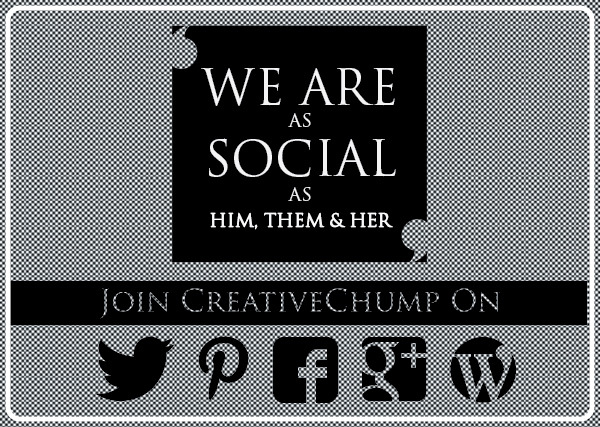 Rather than it’s weird & unconventional approach, the social media giant has gone for a more intimate touch. Modern love – Say Love You Better explores the affection between people in today’s techy world. Every visual depicts Messenger’s functions – speech bubbles, voice & video recordings, emoticons and so forth. A delicate piece I say. 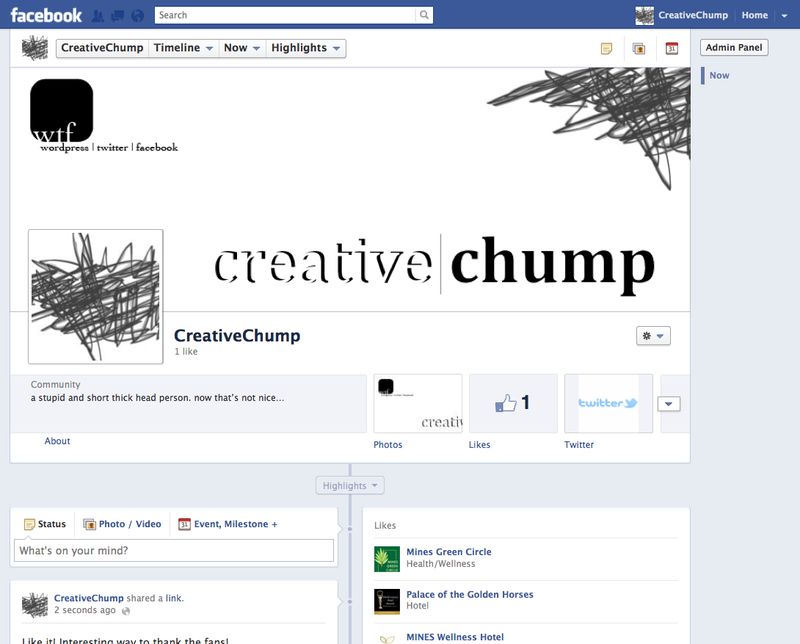 Down to earth and humble, Facebook has finally become human. Buying it? 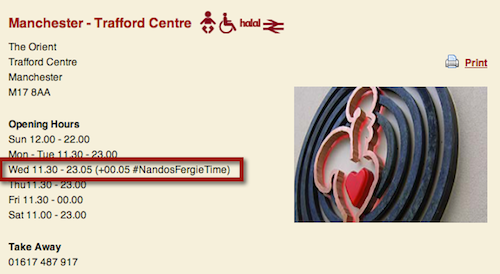 … and instantaneously creates #NandosFergieTime. 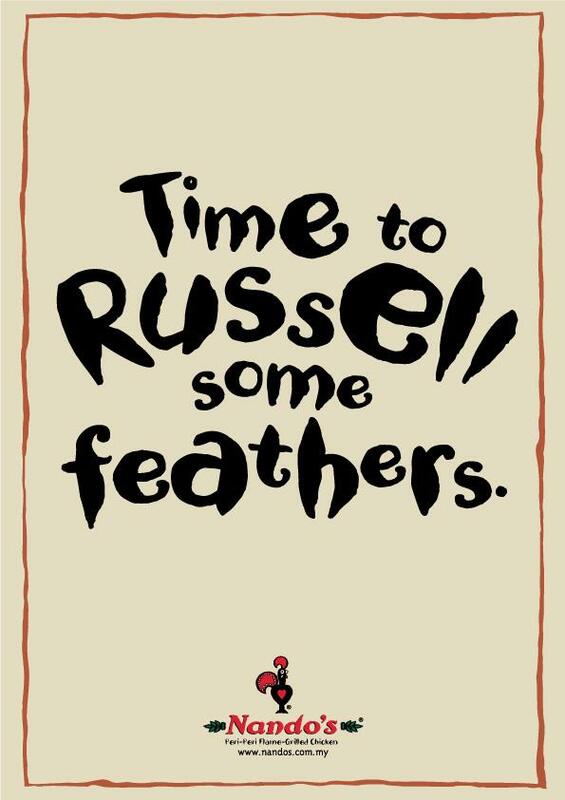 The latest PR stunt by Nando’s UK [www.nandos.co.uk] is as predicted after another huge news that swept through the UK; the retirement of Sir Alex Ferguson, Manager of Manchester United FC [www.manutd.com]. 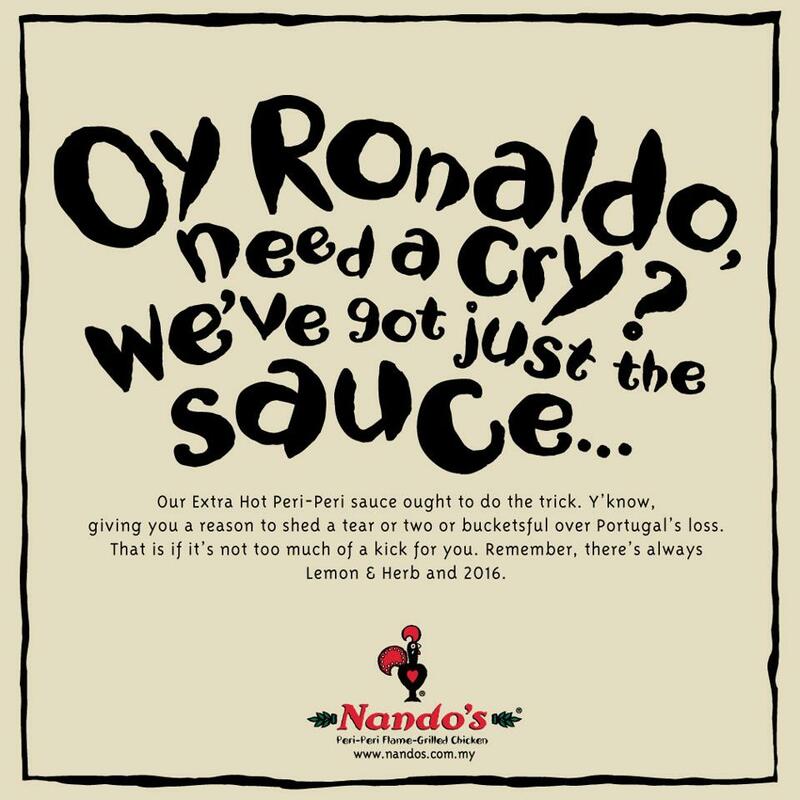 In honour of the granddaddy of football, Nando’s created a PR stunt that benefits nine of its outlets right here in Manchester. The popular chicken restaurant franchise is no stranger to jumping into bandwagons of the latest news that they are certain will turn viral. 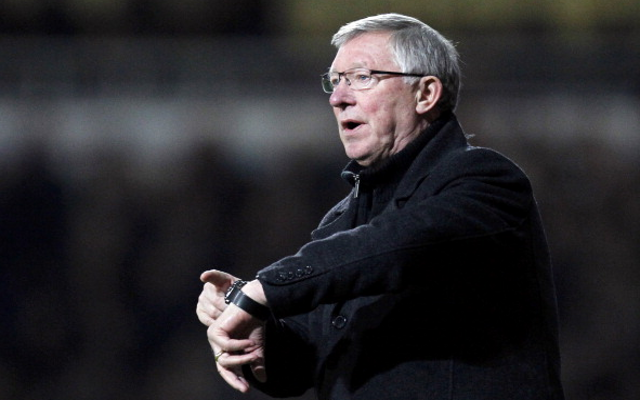 In honour of Sir Alex Ferguson’s announcement that he is retiring we’re proud to introduce ‘Nando’s Fergie Time’ – all our Manchester Nando’s will be open 5 minutes later tonight. In honour of Sir Alex Ferguson we're proud to introduce #NandosFergieTime – all our Manchester Nando's will be open 5 minutes later tonight. I assume 5 minutes is a huge thing in the UK as I presume they wouldn’t want the workers union to start a strike in their outlets for the next few days. All in all, great stunt that caught the people’s attention. 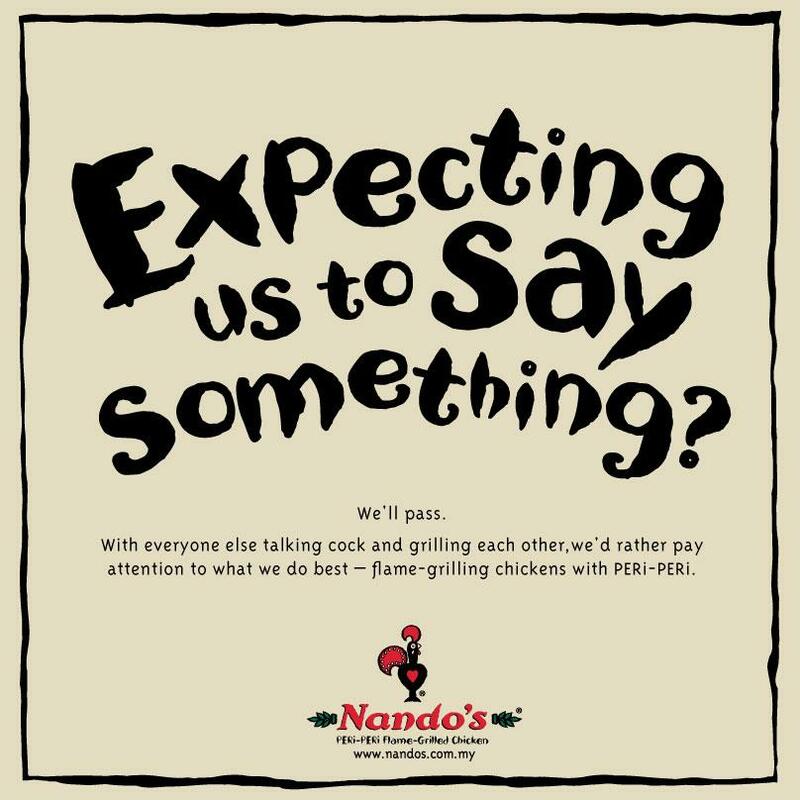 Nando’s Malaysia [www.nandos.com.my] has been firing on all cylinders when it comes to quirky ads and current news. 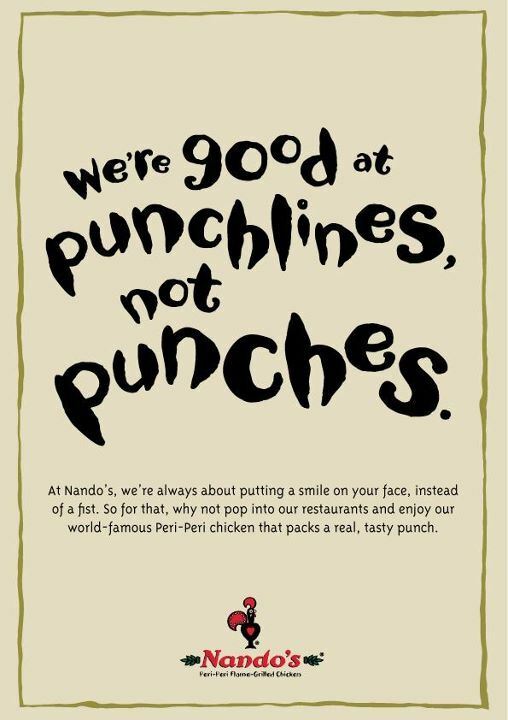 Helm by agency Creative Juice [www.creativejuicesil.com], Nando’s has been catching attention nationwide thanks to its cheeky, quirky and funny ads. Best of all, it relates to current news. And because these current news are so hip, the word spreads faster than fire on fuel. 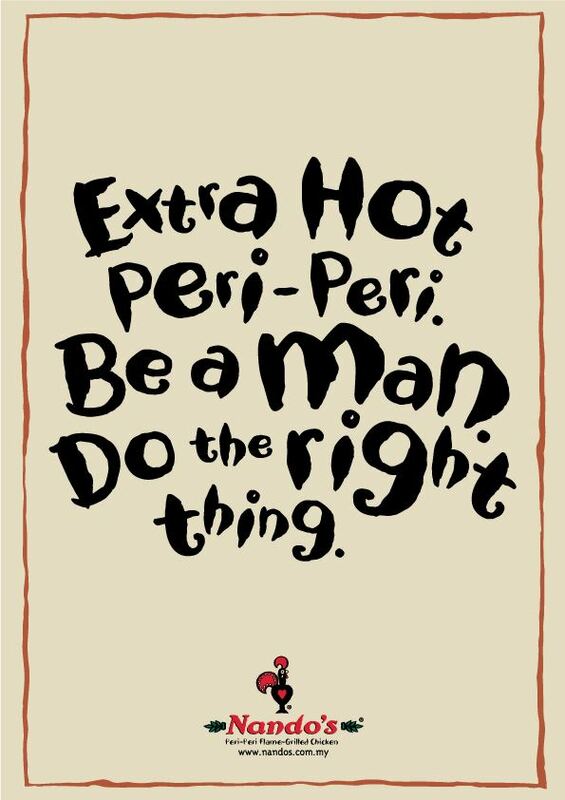 Here are some great ads by their greatness – Nando’s. 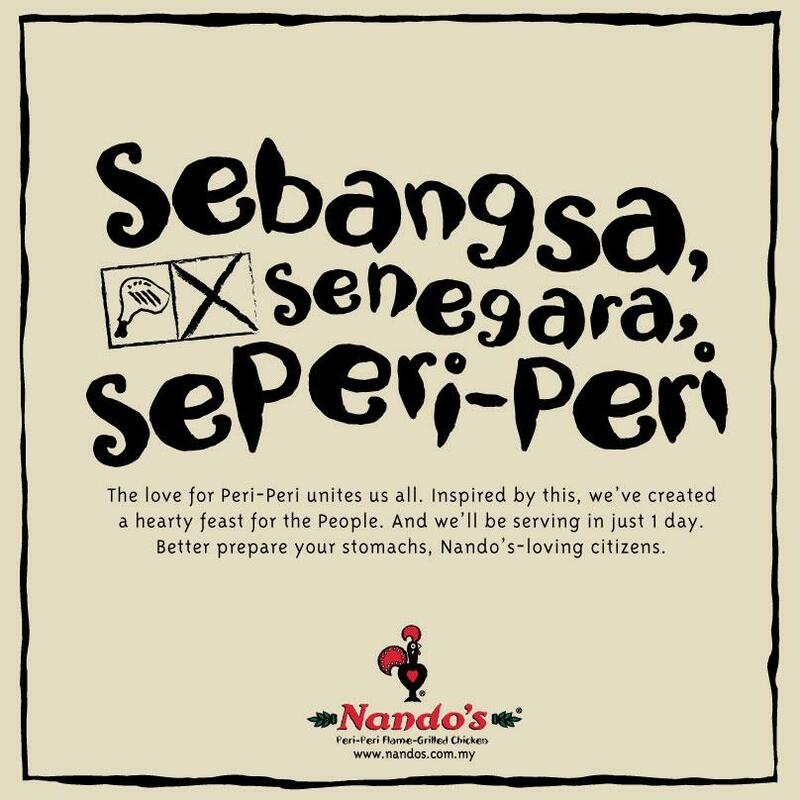 Translation: People first, Peri-peri served. On the crying of Cristiano Ronaldo during the Euro 2012 Semis. On a newly renovated outlet in Penang. On the apologetic Tweet from National shuttler Lee Chong Wei after losing the Gold medal at the Olympics. On the time of Ramadan. 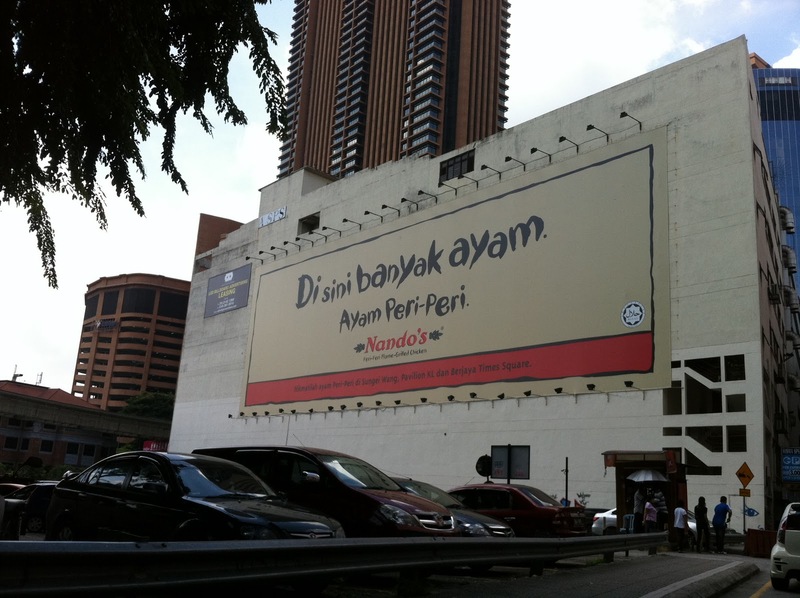 These billboards are found proximity to red light zones in KL. 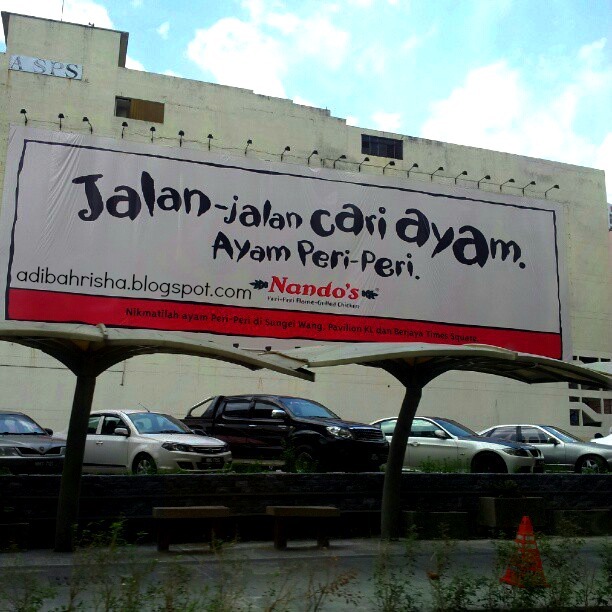 ‘Ayam’ is Malay. ‘Kai’ is Cantonese. ‘Kai’ also means ‘hookers/prostitutes’ in Cantonese. Get the meaning? Jalan-jalan Cari Makan is a popular local TV show that showcases great food around Malaysia. It is translated to as “Walking around finding chickens”. Same billboard but an older visual. Literally translated to “Many chickens here”. Read the subhead? Now you know what they are talking about. 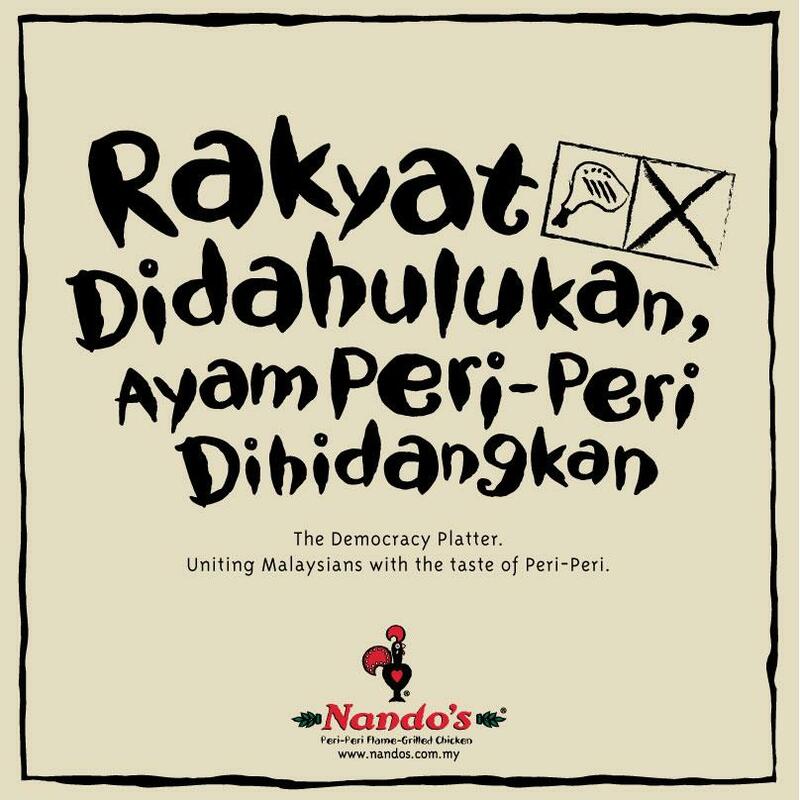 The Nando’s Revolution in Malaysia. Love it all? Share it! Comments are most welcomed. Not sure if this is for real but… WOW! 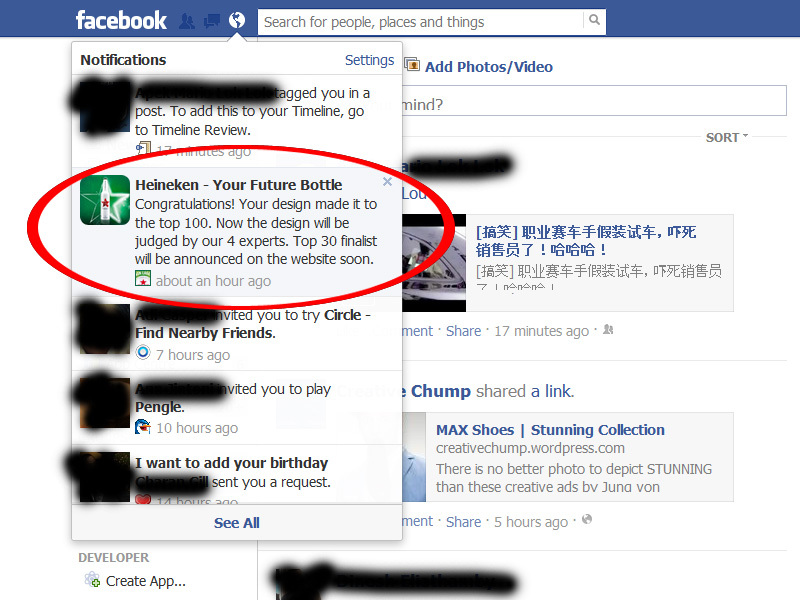 Got a notification on Facebook about my design being selected as the top 100. The design is very straightforward. Bottle color is GREEN, Heineken’s official color. The red star is huge, dead-center at the bottle neck. 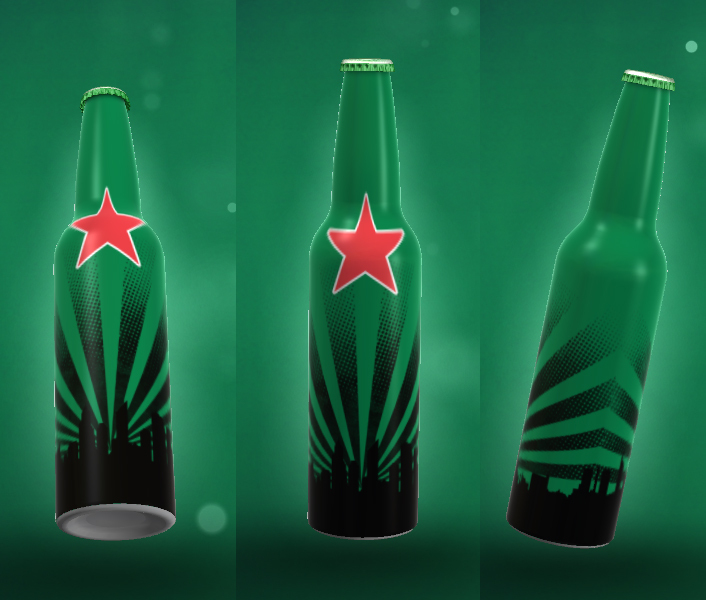 The cityscape silhouette depicts this world famous brand, and how Heineken lights up the world. The next time you see a green bottle, you will know it is a Heiny! The 2012 Report Card is out. And what can we learn (or gain) from this? Social Media silently overtook most of our lives. Instead of reading the morning papers, you get news being fling in your face (whether you like it or not). In a way, we are getting smarter (and more aware) as no matter what sort of news are being thrown at us, we still tend to read at least the headline. Now that’s a good start to increasing your General Knowledge. So, the big 5 of Social Media is on the shelves again. It has been a topsy-turvy 2012 for these 5 giants, Facebook’s IPO, Twitter overtaking Facebook, Pinterest appears out of nowhere and not forgetting Instagram’s TOS issue. They all had it good (and bad). To be honest, I have all 5 of the major players. But what role does it play in my life? Personally, every country uses Social Media differently. Many Asians prefer Facebook over Twitter but many Westerners think vice versa. So, I’ll let you in on my own version of the Top 5. Mainly use it to spy around. Sometimes it make me feel like a stalker. I rarely use FB. Not a big fan but it certainly brought people together. Would you believe that I’m connected to my Primary School mate thanks to FB? Now that is what I call recognition. Love Twitter. Love sharing. Love information. The best place to obtain information (and knowledge). It’s so simple to use. And blardy straightforward. 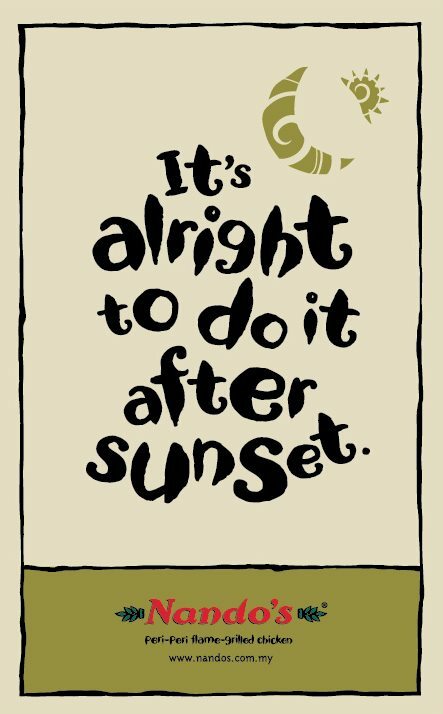 Kudos to that. The Silent Killer. Popped out of nowhere and became instant Social Media giant. Hands down the best website layout. Clean and simple. Best way to share your instinct-based fingers and brain. Still learning. Not too fond of it. It was easy to own a page as majority of us have an Gmail account. But very similar fashion to Facebook. Just a couple of unique improvements. Best way to link with professionals (if you are shy). Pure business-minded, this is where you show off to the world what you are good at, and who you know (sometimes). Many users can gain the advantage of LinkedIn, especially HR and Sales. Which Social Networking sites appeal to you? Share with us your unique thinking. Lets have fun. Your opinions do matter. … the 2012 Olympics Idol. Weird as it may look, Wenlock isn’t about how pretty or good looking it can be, but what story lies behind this droplet of steel. 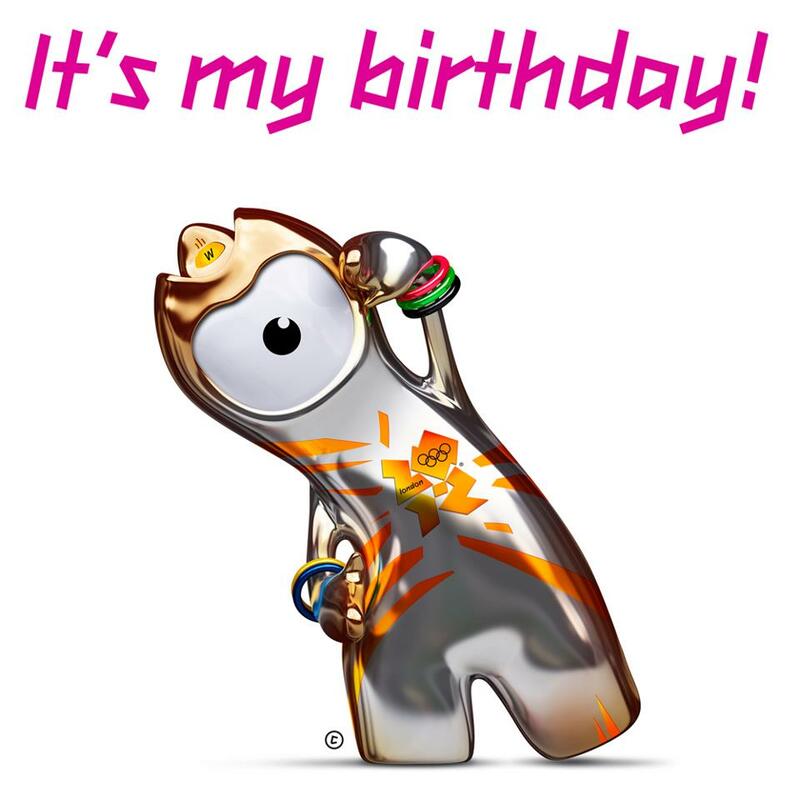 Happy belated birthday Wenlock (19 May)! Anyway, the name Wenlock originated from a small town in Shropshire. Yes as funny as it sounds (both the name and town name), the history goes down yonks ago, 1890 to be precise. The vision of Baron Pierre de Coubertin to establish the Olympic Games in a more modern manner (with flag bearers, officials, competitors, etc…) was inspired right at here Much Wenlock, Schropshire. The Olympic Games were introduced 2 years later for the very first time in Athens. 120 years later, the true hero of the modern Olympics resurrects – in the form of Wenlock. 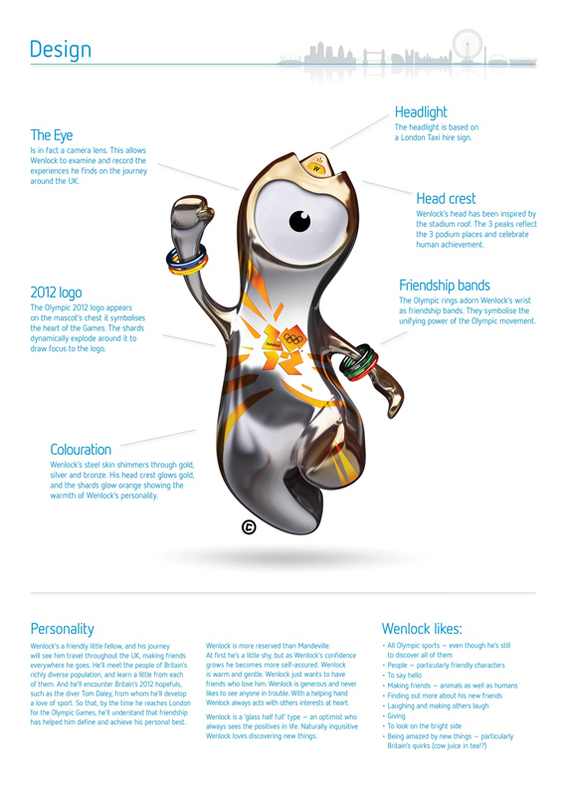 Designed and brought to life by Iris (www.irisnation.com), a creative agency in London, Wenlock came along with a friend, Mandeville. Mandeville will represent the Paralympics and we will review it in our next post. After over 100 designers and artists submitted their entries for the mascot, the entire list was shrunk to just 3 ideas. It went public. And the people of UK decided that a character alone wouldn’t mean much, so they wanted a story. And a real great story was written. Personally, a good story leaves the best impression behind, making the Games more memorable. Period. Inspired by the famous London Cabs’ HIRE light. Really now?? Adapted from the shape of the stadium’s roof and the podium, 1 2 3. No comments. A camera lens. 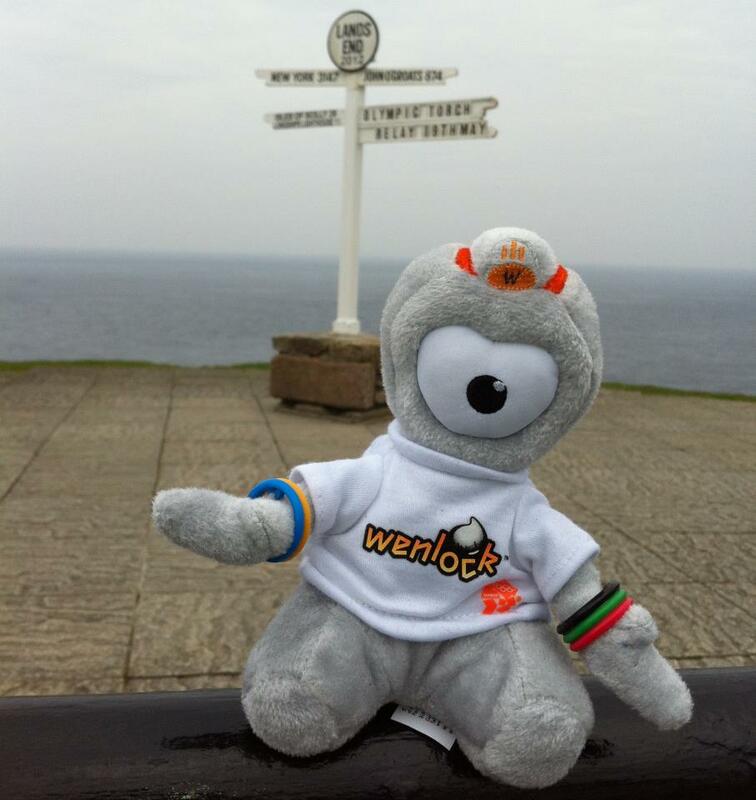 Records Wenlock’s journey around the UK throughout the Olympics. Spy Cam. Simple and minimalist. Chump like. Ring colors of the Olympic Logo. Nice idea. The return of the friendship bands. Shimmering skin tone. Glowing head crest and shards. IMHO, it looks cold no matter which part glows. Man, the beary version looks even weirder. 3d-Wenlock looks much, much better. Find Wenlock on Facebook (#iamwenlock) and Twitter (@iamwenlock). We will be reviewing Mandeville next! Stay tuned! Seth says "What's in the box?"